In the summer months, a red gingham dress or a gingham skirt with a white polo shirt are also acceptable. Children may wear stud or sleeper earrings in ears. We request earrings are not worn on PE days: if they are, the child must be able to remove them or a plaster should be worn. Children may wear watches, but these will also need to be removed for PE. 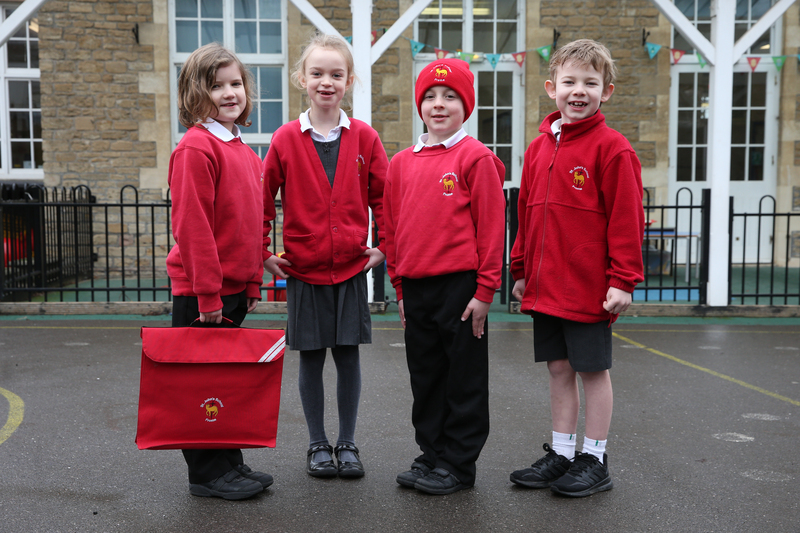 At St John's your child may wear non-uniform for the day on their birthday (or the day closest to their birthday if it falls at a weekend or in the holidays). Our uniform supplier is PMG Schoolwear.